The City Government of Muntinlupa inks partnership with Petdentity Philippines Inc. in improving local database management system through the latest microchip technology. 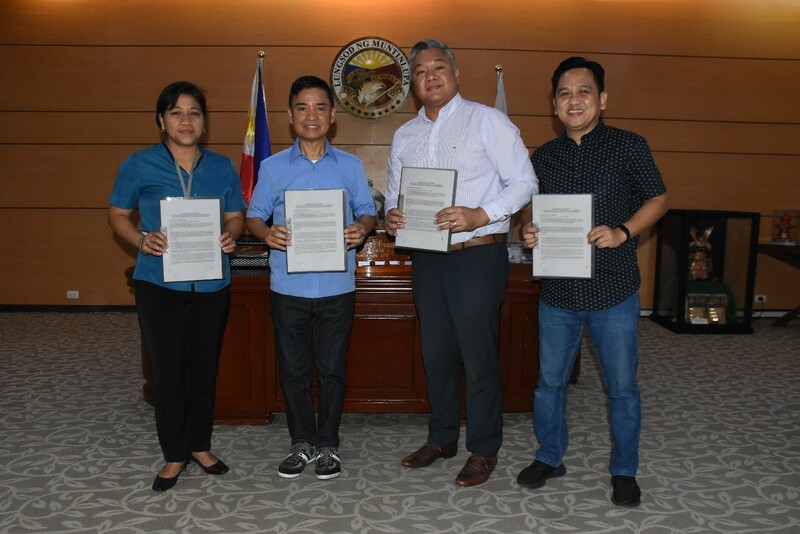 Mayor Jaime Fresnedi and Petdentity Philippines Inc. founder Denis Reyes signs a memorandum of agreement on March 26 at Muntinlupa City Hall, Brgy. Putatan together with other local officials and executives. Fresnedi hopes that the initiative will deliver an advance improvement in eradicating rabies in the city. Petdentity offers a Pet Data Storage System which stores the owner and pet’s identification, including the record of pet vaccination and medical history. Through a System and Mobile app, pet owners can access electronic data of their pets and easily identify and locate them. While pet microchips are not tracking devices or GPS, it contains a radio-frequency identification (RFID) implants that provide permanent ID for pets. Through RFID, it can transmit the microchip’s ID number and pet owners’ information once authorities or veterinarians found a pet to contact its owner. According to Petdentity, puppies and kittens can be safely micro chipped after 8 weeks of age. Further, the company says that it is the size of the pet that determines the safe placement of a microchip. Muntinlupa City Veterinarian Dra. Pamela Hernandez said the program aims to have an efficient and effective monitoring and control in promulgation of RA 9482 or the Anti-Rabies Act and Muntinlupa City Ordinance 17-080 or the Muntinlupa City Veterinary Code. Microchip registration for pets costs P250 and can be availed at Muntinlupa City Veterinarian Office located at Annex Building, Muntinlupa City Hall, National Road, Putatan with tel. no. 862-3866. For more information, you may visit their Facebook page at Office of the City Veterinarian Muntinlupa City.